Make Your Own Kitchen Cleaning Spray, Effective & CHEAP! What Do You Use To Clean? I was recently gifted a hefty supply of pears from the trees of two different friends. How wonderful! Wanting to keep them from going to waste I set to preserving them right away. I peeled, cored, chopped, cooked and canned several pounds of pears over the course of several days. It was a Crazy-Canning Lady’s Marathon! When the cooking marathon was done I was left with a kitchen in dire need of a good thorough scrubbing. There was sticky pear juice everywhere! So I washed all the dishes and put away all the stock pots, canning supplies, jars and such. Then I was left with wiping down the counters, cabinets, sink and any appliances I touched while I was working. OK let’s be honest, I needed to wipe down EVERYTHING! As I pulled my spray bottle of cleaner from under the sink I smiled knowing that my cleaner was effective, gentle and SO cheap inexpensive. What do I use? Just like your mama always told ya – soap & water! It works so well for pennies. Plus I enjoy the mild scent that takes the place of the chemically smell of the commercial stuff. The biggest plus? I know my homemade kitchen cleaning solution is both gentle and effective. So between my spray bottle of soapy water & my little shaker jar of baking soda (for when a little extra scrubbing was needed like my poor sinks) along with a trusty cleaning rag – I got busy wiping down everything in that kitchen. I love that it cost so very little and that my ingredients are much gentler on the environment – even the containers are repurposed! Give it a try – you have nothing to lose except sticky counter tops. Now if you’ll excuse me, it’s time for me to get back to work cleaning! 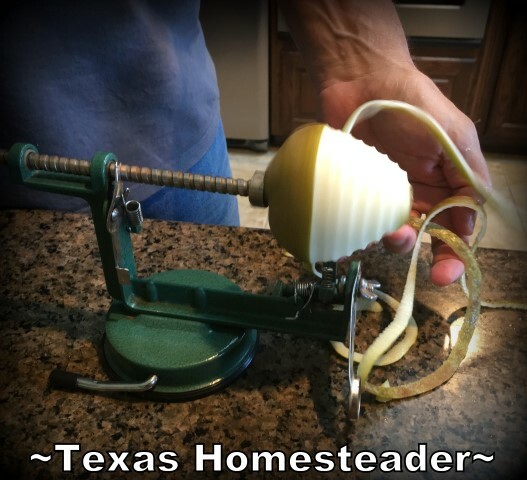 This entry was posted in Blog Posts and tagged Cooking, Frugality, Make-It-Yourself on December 3, 2013 by Texas Homesteader. This is a great idea! I use a vinegar cleaner with a dash of Dawn but I’ll have to simplify and try this! Thanks for sharing! I love using an all natural cleaner. So much better for you than the commercial chemicals. Thank you for sharing at Merry Monday! This is great, thanks for the ideas and for sharing at Good Morning mondays. Blessings. I’m with you. Haven’t bought a store cleaner in years… Just vinegar, water, baking soda and a splash of (essential oil if feeling decadent) or cleaning herbs like lavender and lemon 🙂 Thank you for sharing all your resourceful and helpful posts on the Art of Home-Making Mondays. Have a happy, healthy and blessed new year! This is just a perfect cleaner and a great way to save money. Thanks for sharing at TTF! I have the same bottle of soapy water to do my cleaning, too. I also use ammonia and water to clean my windows. I like to use vinegar on the kitchen sink. Our water has a high mineral content and it really helps with hard water deposits. We don’t have granite countertops to worry about, though. 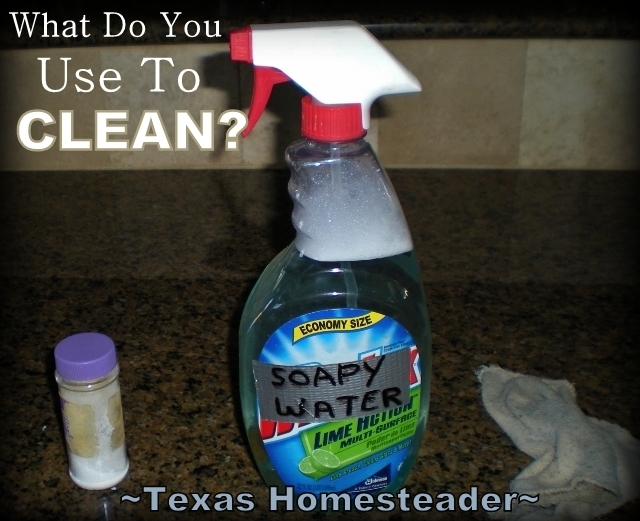 I add a little vinegar to my soapy water to make a super high powered cleaner. Just keep it away from granite counter tops! Liked you post and what I use to clean is just baking soda, hydrogen peroxide, lemons, a few essential at times. Visiting from Tuesday With a Twist Blog Hop!